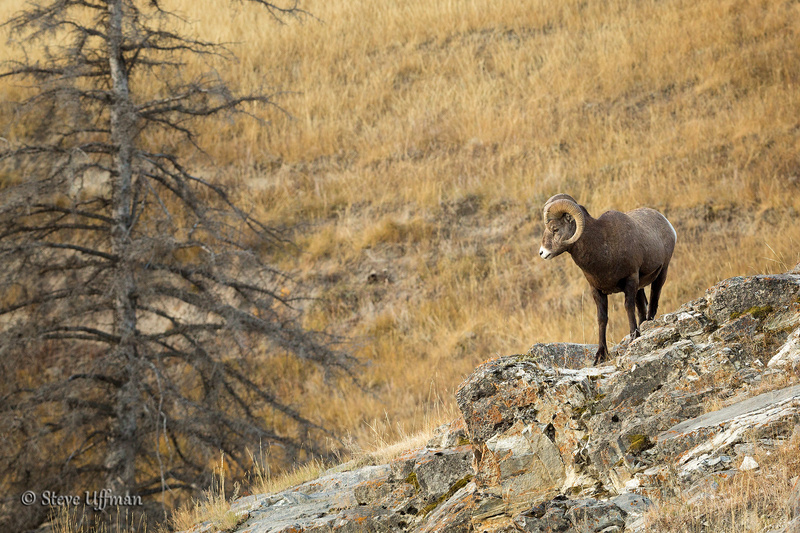 This bighorn sheep stands on an overlook high above a group of other rams. Rocky Mountain bighorn sheep which inhabit both the US and Canadian Rockies can be quite large with males occasionally exceeding 500 lb and females that exceed 200 lb. Bighorns are well adapted to climbing steep terrain where they seek cover from predators. Cougars are a major predator on Bighorn sheep as they too are adept at climbing the rocky ledges — in Jasper, Alberta, Canada.